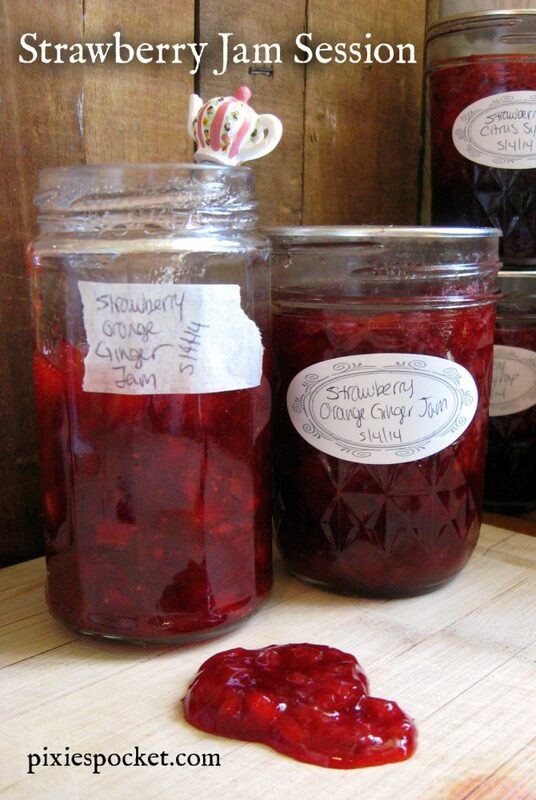 I just love making jams and jellies, y’all! They just taste so much better to me than store-bought – I swear, you can taste the sunshine on the fruits and feel the love that went into making it. 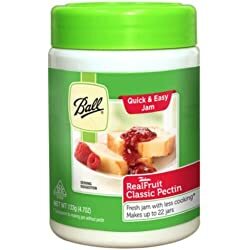 Strawberry is the first jam I ever canned, years ago, by following the instructions in the random box of pectin I bought at the store. It turned out great, if not a bit too sweet. These days I tend to use the low-sugar instructions provided on most pectin packages with good results. The jam tends to be a wee bit softer but that doesn’t bother me at all. Since I’ve succeeded at making jams a few times now, I find myself more willing to experiment with flavors and textures. Rather than making one big batch of plain jam out of my tub o’berries, I decided to make a whole bunch of small batches to see what would happen. Oh, and my recipes here assume that you have some basic experience with water bath canning. If you don’t, this video is a great place to start! 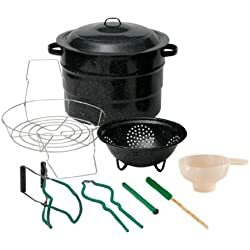 Mind you, I don’t have any fancy equipment. 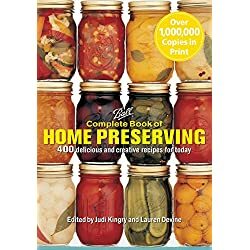 I just use a large pot of water with a dishtowel in the bottom of it so the jars don’t clink around while they process. This mad-scientist kind of experimentation was allowed by using a different pectin than I had in the past – this one is just a tub full, and you can make small batches easily! As usual, Ball was great at having good instructions inside their label so that I didn’t have to fret. I used the standard two-jar recipe for strawberry jam provided by the pectin label for each of these and added other ingredients as my whim dictated. This jam is rich and bright red…the orange zest and three different kinds of ginger serve to round out the flavor of the sweet berries. Made two 8 oz jars to can, plus a bit extra left over to be stored in the fridge and used quickly. Bright, flavorful citrus notes from the citrus zest, fruit, and juice add a wonderful layer to the rich, red strawberries. I completely forgot to add the pectin to this batch. Seriously. *facepalm* But even so, it resulted in a delicious soft jam, or chunky syrup, depending on how you look at it. There was a surprising thickness to it from the natural pectins, but it would definitely be firmer with added pectin. Made two 8 oz jars to can and 1 TINY sample left over that never even made it to the fridge. Tired of sickly sweet jams and jellies? Discover a serious depth of flavor by adding Balsamic vinegar and the low-grade heat of black peppercorns for a spread that is fantastic on a bagel or in a crepe. Made two 8 oz jars, plus left a bit to enjoy immediately! There is one more recipe to come. This one is extra special…it is one that I came up with all on my own! My favorite out of the day’s jam session! 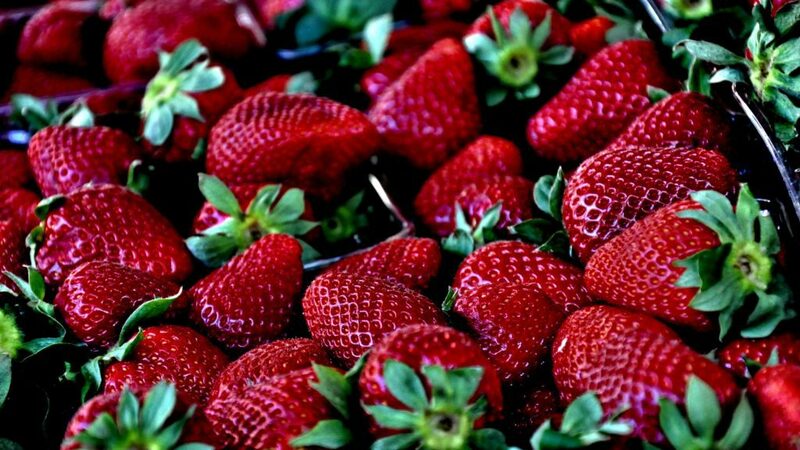 Keep posted for Strawberry Mango Mojito Jam, coming soon!